From the Tappers and Pointers Dancewear Collection this lovely soft, cotton rich wrap over cardigan is perfect for dancers of all ages. 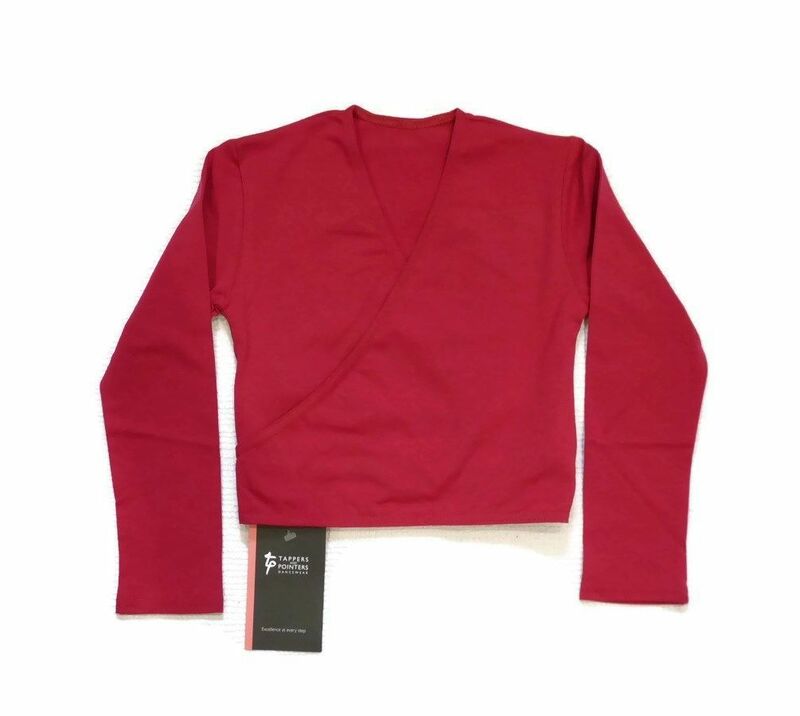 This wrap top is made using a 46% cotton, 45% polyester, 9% Lycra fabric, for a soft comfortable fit. Available in plum, this style is suitable for ISDT grades and will co-ordinate with the Tappers and Pointers Plum Leotard and Skirt which I have listed. Children vary greatly in height and size please use the ages/sizes as a general guide for "average" sized children. If your child is between sizes or taller than average then please go up a size.